The company is releasing its data and findings for a study they conducted between 2011 and 2015, reports www.mconnectmedia.com. Kennesaw, GA - November 14, 2016 /MarketersMedia/ — M-Connect Media, a leading eCommerce firm which provides solutions in Magento development, today announced the results for a Black Friday sales analysis they conducted using data collected between 2011 and 2015. 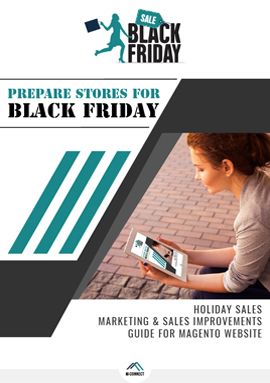 Based on the statistics from this research, M-Connect Media hypothesized that Americans will likely spend $1.876 billion in online shopping on Black Friday 2016, that $600 million in sales will come through mobile devices (including phones and tablets combined), and that Black Friday 2016 will be the 2nd largest shopping day of the year. "Shopping trends will never remain same, as they are constantly changing year by year. The trends generally depend upon customers' shopping behavior. On Black Friday 2014, 78 percent of shoppers searched for online products and 41 percent of online shoppers purchased products from a new store. In addition, mobile shopping became the biggest shopping trend in the year 2015 with 36.2 percent of online sales on Black Friday," says Dar Parmar, an eCommerce Business Consultant at M-Connect Media. "As ecommerce experts that have been providing solutions and studying consumer behavior for more than 7 years, our data analysis leads us to predict that online sales will be 13.27 percent higher in 2016 than 2015's Black Friday Sales, and we expect to see online spending increase to nearly two billion dollars. Also, we are expecting about $600 million of sales coming from smartphones and tablets. All of this predicted spending means that Black Friday could emerge as the second biggest online shopping day in 2016." In order to help Magento eCommerce site owners optimize their stores for better Black Friday sales, M-Connect Media released an in-depth Holiday Sales Marketing & Sales Improvements Guide. This exclusive guide helps website owners understand the current eCommerce landscape, dissect the consumer behavior that drives Black Friday shopping, know what consumers will be looking for this holiday season, and create a marketing plan that will result in maximum impact for online store owners. The guide is available as a free download at the M-Connect Media website. Parmar concluded with the advice that retailers should have some necessary modern features on their web-store such as a mobile friendly website, multiple shipping options (including free shipping), online chat support to help their customers in real-time, an optimized checkout process, and a speedy website. They should also prepare a backup plan or strategy which could help them during rush hours and server crashes. Those who would like to learn more about these findings can visit the M-Connect website to download their exclusive Holiday Sales Marketing & Sales Improvements Guide. As an eCommerce development company, M-Connect Media has been providing complete Magento Based eCommerce Solutions since its establishment in 2009. The company serves their worldwide clients to establish their business in the eCommerce market with their various Magento and eCommerce development services.